Rob Cesternino and Akiva Wienerkur have all the poise, grace and cotton shirts needed to bring you the latest recap in their run through the Seinfeld series. This week, they tackle “The Chaperone”, which first aired September 22, 1994 as the premiere of season six. The episode was written by Larry David, Bill Masters and Bob Shaw. Before delving into the news, Akiva put a bow on season five by ranking it as the best season so far. For news this week, there was a bar themed after George Costanza opened in Melbourne, Australia. Jerry’s storyline has him meeting Miss Rhode Island at the Yankee game and hitting it off. When he learns she can’t go out for dinner because her chaperone is not able, he enlists Kramer to fill in, which eventually leads to Kramer taking over as her pageant advisor. Jerry ultimately ruins Miss Rhode Island’s chances at Miss America when he accidentally kills her doves when he dumps water on them to quiet them on the balcony below. George storyline has him eager to make a splash with the Yankees. He learns from Danny Tartabull that the uniforms are made of polyester, which is why they get so hot in the summer. He champions a plan to switch to cotton uniforms, which is at first met with great success. All the players are raving about the difference with the cotton uniforms, but after the first washing, the Yankees are stuck with uniforms that are too small, leading to Don Mattingly splitting his pants. Elaine has a bigger storyline to open season six. She has a shot at taking over Jackie Onassis’ editor job after not working all summer, but the interview goes poorly. She meets Justin Pitt, a friend/colleague of Jackie O, who is mesmerized by Elaine since she is dressed like her. He hires her as his personal assistant but the job turns out not that great, as Elaine learns Mr. Pitt is eccentric and can’t even decide on a simple pair of socks to buy. It turns completely south when she is unable to go to Atlantic City with Jerry and George because she has to help Mr. Pitt find the right socks. Kramer’s part of the episode revolves around Jerry asking him to chaperone Miss Rhode Island on their date. When he Inquires about her game plan for the pageant, he starts to advise her on anything and everything, since he’s watched every Miss America pageant since he was six years old. He has her shaping up every part of her performance, and when the doves from her magic act die from Jerry throwing water on them, he switches her talent to singing, which goes terribly, since she is tone deaf. Rob and Akiva has several great tangents in this recap. First, they debated whether any other sport has been used in correlation to intimate activity before baseball. Next, they talked about how Major League Baseball was amidst a strike when this episode featuring the Yankees aired, and they also created a fake new podcast “Sports Serial”. Akiva shared how he had an interview where he knew wasn’t getting the job, much like with Elaine in this episode. Lastly, they talked a bit about Regis, and how it would have been great to get him on this episode as well. There wasn’t much that would be different in 2016. Akiva jokingly said that no one was pulling a Steve Harvey and announcing the wrong winner in this pageant, and maybe the science of comfier uniforms could have improved since 1994. 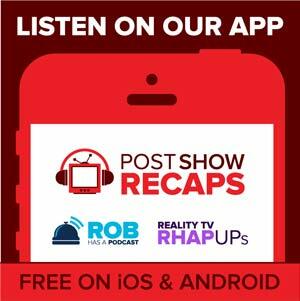 While both Rob and Akiva liked the episode, it wasn’t the caliber of the last few episodes of season five. Akiva ranked it at 109, to which Rob agreed. They both agreed Jerry deserved a B, Kramer deserved a B, George earned himself an A-, and they both agreed Elaine deserved a C.
There were only a few emails to start off the new season. Johnny De Silveira pointed out that the baseball scenes were shot at Angels Stadium, and the original title was supposed to be called “The Birds”. He also asked why Jerry didn’t just close the window instead of pouring water on the birds. Lastly, Chester wondered if the chaperone was really necessary as part of the pageant rules. He also asked why Jerry didn’t just use George as the chaperone when Kramer starts to take it too seriously. They both thought it was a great point. Tune in next week as the guys will recap “The Big Salad”, another high powered classic. Send in your questions by emailing [email protected]ps.com. Don’t forget to subscribe to the podcast by going to postshowrecaps.com/ seinfeldITunes where you can rate and review the podcast. You can get a discussion going about the podcast by leaving a comment on the show page, and as always, you can follow them on Twitter @robcesternino and @keev26.